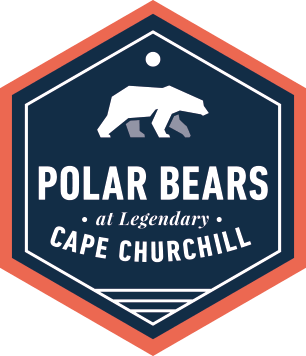 Frontiers North’s Tundra Buggy Lodge is located on Polar Bear Point in the Churchill Wildlife Management Area (CWMA), home to the largest concentration of polar bears in Churchill. The lodge offers a unique, immersive experience where, on a clear night, you can view the dancing norther lights from our roof-top observation deck and fall asleep with polar bears right outside your window. Daily Tundra Buggy® adventures take you out beyond the lodge and give plenty of photography opportunities. Evenings at the lodge can be just as memorable when yous wap stories with other guests and enjoy world-class meals. Specialist Level: Specialist level departures are our most exclusive adventures; with a smaller group size and longer duration, these adventures are ideal for guests and photographers who want to spend the most time on the tundra with the wildlife to capture the perfect image. On this tour, there will be a maximum of 20 guests in your group and Tundra Buggy, with a maximum of 40 people at the Tundra Buggy Lodge. I flew into Winnipeg today and I am so excited to go on my Churchill polar bear tour! My home for the night is the Four Points by Sheraton Hotel, which is just across the street from the Winnipeg airport. After checking in and we have a welcome dinner with our Frontiers North Photo Specialist where our group has the chance to ask last minute questions and learn more about what our adventure holds! 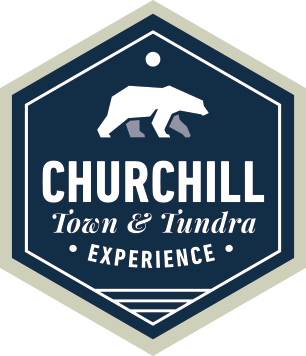 Today we are going to Churchill! After a very early breakfast with our Photo Specialist at our hotel, our tour group boards a warm bus for the short ride to the private hangar from where our plane will depart for Churchill. The flight is two and a half hours. In the late afternoon we board the Frontiers North bus and head out to the Tundra Buggy Dock for our trip to the Tundra Buggy Lodge. It’s our first chance to see the incredible landscape of the North and it is absolutely breath-taking. As the light begins to fade, we see the Tundra Buggy Lodge in the distance – it’ almost as if we’re approaching an isolated space station in the middle of nowhere. As we board the Tundra Buggy Lodge the feeling of isolation disappears. The welcoming lodge staff greets us warmly and we are treated to an incredible home cooked meal before settling in to our new home on the tundra. At the end of the day, we return to the Tundra Buggy Lodge in time for a delicious meal and a chance to relax in the lounge getting to know fellow travellers. Today we had out in a different direction and quickly come across a mom and two cubs. They cross in front of our Tundra Buggy before disappearing into some willows. We spend the rest of the day scanning the tundra for more polar bears and other wildlife. We are not disappointed. At the end of the day we head back to the lodge for another world-class dinner. Afterwards we get to enjoy a presentation by a Polar Bears International representative about polar bears and Canada’s North. We all head to bed early before our next big day on the tundra. After another delicious breakfast we head out for our third full-day Tundra Buggy adventure. We seek out more polar bears, arctic fox and ptarmigan. Today our Tundra Buggy Driver positions us for the perfect photo of a large male. He is slowly walking toward us in the distance so we have time to set up our cameras and zoom lenses and start shooting! After lunch we catch a glimpse of a gyrfalcon flying overhead. A couple guests in our group manage to get their cameras out in time for a quick shot. After a full day on the tundra we begin to head back to the lodge. The sunset over the tundra is absolutely breathtaking. As the Tundra Buggy Driver stops so we can get a photo of the sunset, another polar bear pokes its head out from behind a rock. As it stretches out in front of us all you can hear is the “click, click, click” of cameras going off. It would be hard to imagine a more perfect image than the sunset silhouetting the polar bear right in front of us. We setting back into the Lodge for a warm night of food, stories and sharing. After a quick, warm shower I grab some hot breakfast and coffee before departing for the day. After an exhilarating, full day on the tundra we begin to travel back to the lodge. I took over 300 photos today so I’m happy I brought extra memory cards. After dinner some guests spend time sharing photos and laughs in the Thanadelthur Lounge. Not soon after I fall asleep some movement in the Tundra Buggy wakes me up. I hear other guests and our Photo Specialist whispering, “northern lights, northern lights.” Most of the people in my bunk quickly grab their cameras and head to the lounge where they have turned off all the lights so we can better see the northern lights through the panoramic windows. I climb upstairs to the roof-top observation deck for an even better view. What an amazing and unexpected show! After breakfast, our group packs up and sets out on the Tundra Buggy for our last day on the tundra. We spend the day getting incredible photographs, enjoying our last Tundra Buggy picnic and just taking in the beauty of the North. In the late afternoon our Tundra Buggy rolls up to the Tundra Buggy dock area, where we say goodbye to our Tundra Buggy Driver and climb aboard the Frontiers North bus, which takes us back to the Churchill airport for the short flight to Winnipeg.